There’s tons of key lime pie at the Key Lime Festival. From the festival kick off at the Key West Lighthouse to the Key Lime Pie Hop and the Key Lime Pie Eating Contest, there are plenty of opportunities to get your key lime pie fix on. We’re especially looking forward to the Key Lime Pie Hop on Sunday, July 2, 2017. Starting at the Smokin’ Tuna Saloon, participants will get to try 5 different styles of key lime pie at some of Key West’s most famous spots, like the Key Lime Pie Co. and Bagatelle. 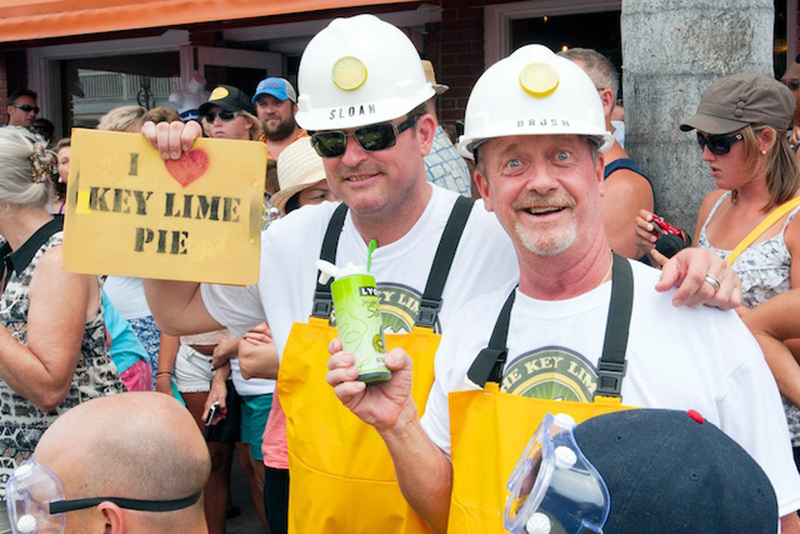 Being Key West, there’s quite a few opportunities to get a buzz going in honor of the key lime. And the Key Lime Festival brings out the best of the best when it comes to key lime flavored drinks. On Saturday, July 1, 2017, there’s the Key Lime Cocktail Sip & Stroll, hosted by seven of Key West’s most popular bars. This drinking/walking tour features 12 different drinks, each based off the key lime. Then there’s the Key Lime Rum Sampling & Distillery Tour on Monday, July 3, 2017, featuring Key West’s one and only legal rum distillery. We love their rum, so we’re especially eager to try the key lime flavor. There’s much more to be done with the key lime than just pies and cocktails. On Monday, July 3, 2017, there’s Key Lime Cooking with Key West chef and distiller Paul Menta, with a special dinner menu designed around the key lime. The menu consists of an appetizer, entree, and dessert, each making use of local ingredients, and of course, the national fruit. There’s no party like a Key West party - and that’s one of the best things about festivals like the Key Lime Festival, it’s how the island gets together. While Key West is known for being a bit eccentric, the island is still one human family, with people from all walks of life looking to have a good time - and a good laugh. Come see what the fuss is all about. You have your chance this weekend in the Key Lime Festival. It wouldn’t be Fourth of July weekend without a proper fireworks display. That said, the Key Lime Festival is going out with a bang. On Tuesday, July 4, 2017 at Higgs Beach, there’s the annual Fourth of July Picnic and Fireworks Show hosted by the Visiting Nurse Association & Hospice of the Florida Keys. There will be live, local music and dancing on the beach, as well as plenty of games and activities for the whole family.